It's a super durable shirt and I want another like it, but I bought it over 10 years ago. It's 100 % cotton and is a Reebok NBA "Hardwood Classics" shirt. The front looks like standard knitting (stockinette stitch).The picture quality of the back is too low to say for sure, but it looks similar to how the backside a stockinette stitch should look. 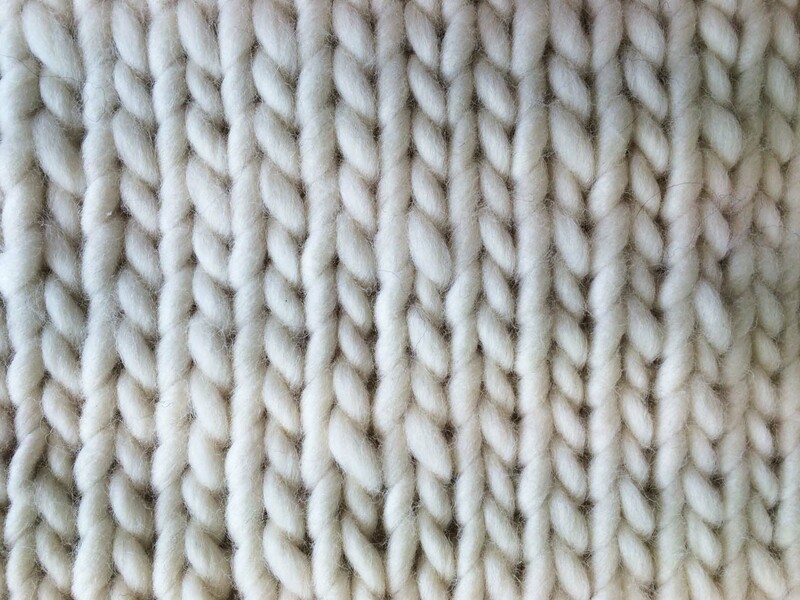 The stockinette stitch is the most basic stitch and used for most machine-knitted fabrics. You find it in almost all t-shirts, sweaters, socks and other knitwear. The notable difference of your picture to that of most knitwear is that the right side of every stitch is twined so much that it appears to be one continuous line. This is a sign of quality because the single fibers of a yarn cannot be pulled from it easily if it's twined. The fabric is knit by machines in the stockinette stitch like almost all knitted fabrics, but the manufacturer used high-quality twine instead of cheap thread. For comparison: This is how a stockinette stitch looks like with yarn that was not twined. The regular V-shapes of the individual stitches are clearly visible. And this yarn was slightly twined. It's the same pattern, but the stitches seem to blend together into rows of vertical and diagonal lines. Your shirt’s stockinette fabric has a rib-like appearance because it is made from “Z” twisted fiber, which can be used in any quality of fabric or fiber. If you look very closely at the first image posted above, you can see that the yarn is twisted (“twined”) in an “S” configuration. 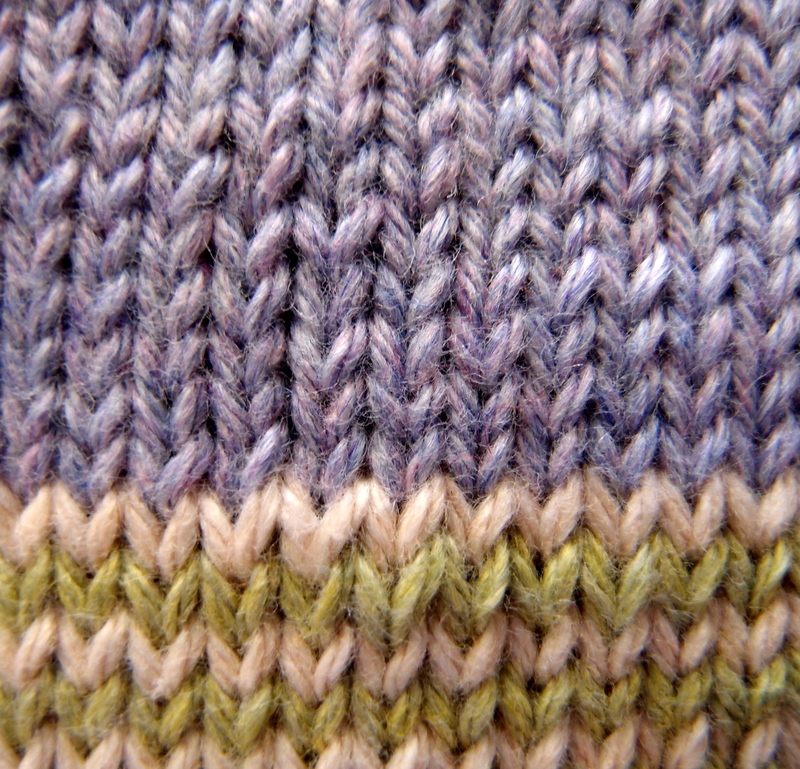 The two “legs” of the knitted stitches are therefore balanced. Looking closely at the second image you can see that the yarn is twisted in a “Z” configuration, which is causing the right leg of each knitted stitch to line up more vertically with the leg above it, creating what appears to be a sort of vertical rib. 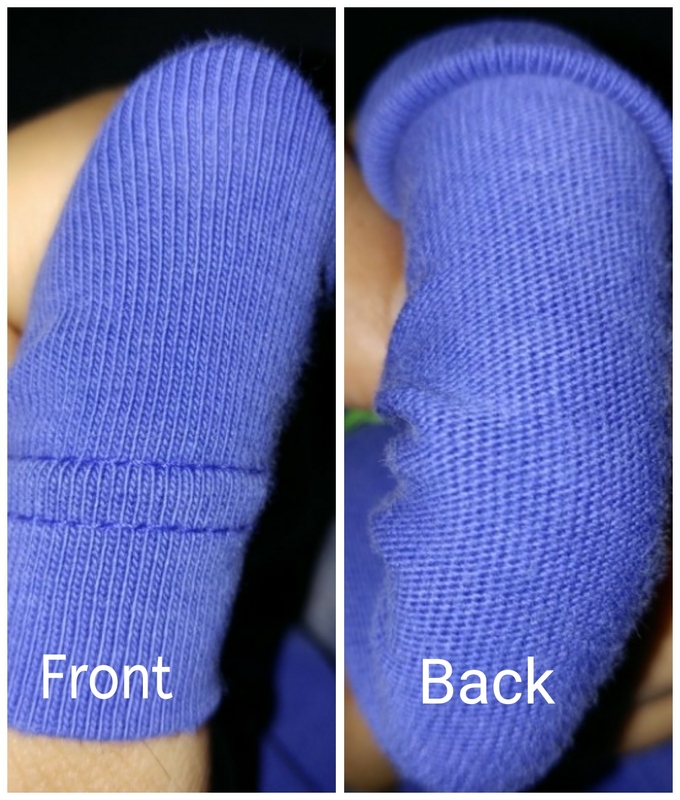 If you look at your Reebok shirt fabric with a magnifying glass, you will see that the individual fibers are “Z” twisted. One further clarification: there are two types of fabrics, woven and knit. Woven fabric is made on looms with yarns or threads going over and under each other at perpendicular angles, while knitted fabric is made by pulling loops of yarn or thread through a previous row of loops. Woven fabric tends to be non-stretchy, while the main identifying feature of knit fabric is its stretch. The fabric in your shirt is a knit. This article over at mybluprint has excellent images and explanations of these two methods of creating fabric. Not the answer you're looking for? Browse other questions tagged fabric knitting technique-identification or ask your own question. What fabric would work well for a flag? Best way to attach EVA decals onto a stretchy synthetic fabric?